This is just in time for upcoming Thanksgiving celebrations. Save 50% off all cards & invites! The promo ends this Sunday 11/04/2012! Please use code: ZHOLIDAYMAIL during checkout. 50% of the invitation, greeting card, photo card and/or postcard net sale price will be deducted when one or more qualifying invitations, greeting cards, photo cards and/or postcards are purchased and the coupon code ZHOLIDAYMAIL is applied at checkout. The net sale price is the price of the product (excluding shipping and taxes). Offer is valid through November 4, 2012 11:59pm PT. This offer does not apply to past purchases and may not be combined with any other Zazzle promotional or volume discount offers. If a volume discount applies to your order, you will receive either the discount set forth in this offer or the standard volume discount, whichever is greater. Offer valid on Zazzle.com only. Till the season to party! Save some money from your party planning budget with this exclusive 35% off cards and invitations offer! Just use code SHOPCARDSNOW during checkout. This is good till the end of the month 10/31/2012. Browse Halloween invitations, Thanksgiving invitations, Christmas photo cards and holiday party invitations now. 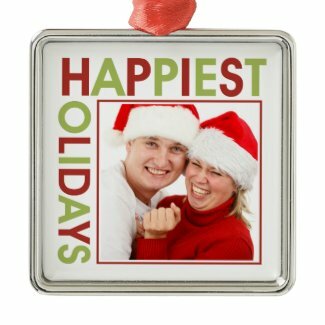 35% of the Zazzle product net sale price will be deducted when one or more qualifying greeting cards, invitations, photo cards and/or postcards are purchased and the coupon code SHOPCARDSNOW is applied at checkout. The net sale price is the price of the product (excluding shipping and taxes). Offer is valid through October 31, 2012 at 11:59pm PT. This promotional offer does not apply to past purchases and may not be combined with any other Zazzle promotional or volume discount offers. If a volume discount applies to your order, you will receive either the discount set forth in this offer or the standard volume discount, whichever is greater. Offer valid on Zazzle.ca only. Save $5 off 2 or more ornaments when you use code FIVEOFFDEAL2 during checkout. $5 of the ornament net sale price will be deducted when two or more qualifying ornaments items are purchased. The net sale price is the price of the product (excluding shipping and taxes). The coupon code FIVEOFFDEAL2 must be entered during checkout to receive the offer. Offer is valid through October 16, 2012 at 11:59 PM PT. This offer does not apply to past purchases and may not be combined with any other Zazzle promotional or volume discount offers. If a volume discount applies to your order, you will receive either the discount set forth in this offer or the standard volume discount, whichever is greater. Offer valid on Zazzle.com only. FIVEOFFDEAL1 during checkout. Shopping beyond halloween outfits? Check out these clever shirts and political shirts also. $5 of the t-shirt net sale price will be deducted when one or more qualifying t-shirt items are purchased. The net sale price is the price of the product (excluding shipping and taxes). The coupon code FIVEOFFDEAL1 must be entered during checkout to receive the offer. Offer does not apply to screen printed apparel. Offer is valid through October 15, 2012 at 11:59 PM PT. This offer does not apply to past purchases and may not be combined with any other Zazzle promotional or volume discount offers. If a volume discount applies to your order, you will receive either the discount set forth in this offer or the standard volume discount, whichever is greater. Offer valid on Zazzle.com only. 30% off all phone and ipad cases! WKNDCASEDEAL during checkout. This is good till Sunday 10/14/2012. Broswe phone cases or ipad cases now. 30% of the case net sale price will be deducted when one or more qualifying cases are purchased and the coupon code WKNDCASEDEAL is applied at checkout. The net sale price is the price of the product (excluding shipping and taxes). Offer is valid through October 14, 2012. This offer does not apply to past purchases and may not be combined with any other Zazzle promotional or volume discount offers. If a volume discount applies to your order, you will receive either the discount set forth in this offer or the standard volume discount, whichever is greater. Offer valid on Zazzle.com only.